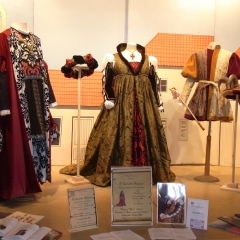 In spring 2010, we were asked by our friend Peter Waring if we could design and make the costumes for his play “A Suitable Disguise”. 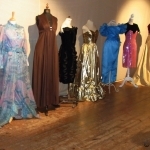 After the play ended, we were asked to show the costumes again, so we thought of putting together an exhibition of “Theatre Costumes and Evening Dresses” to raise funds towards Laughton village hall refurbishment. 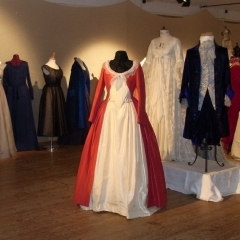 We borrowed evening dresses from people in our benefice to add to the ones we already have in our collection. 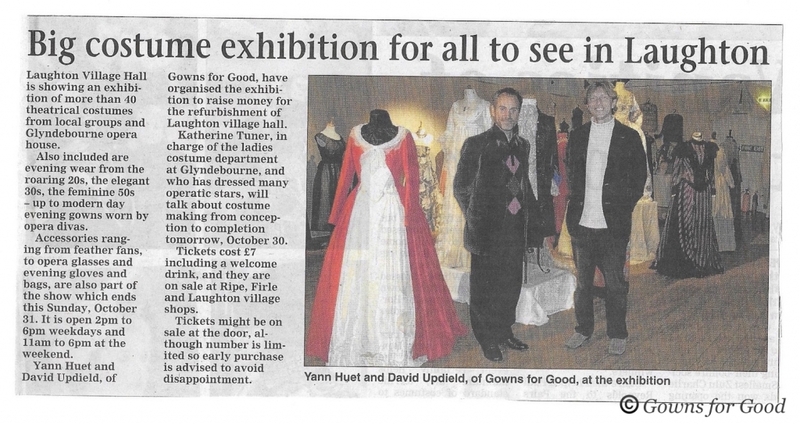 We also borrowed costumes from Glyndebourne opera house. 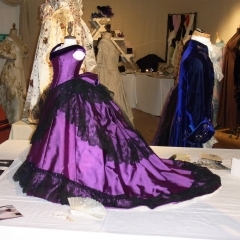 Kathryn Turner, head cutter in the ladies costume department at Glyndebourne, helped us to set up the exhibition including the beautiful costumes she had worked on herself. We were fortunate enough to have Arthur, a retired expert from Glyndebourne to do a magnificent job of the lighting. 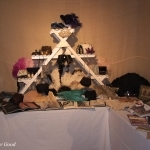 The evening dresses ranged from the 1920s to the present day, with the addition of an original mid eighteen century dress, and accessories were also displayed, from shoes to fans and jewellery. 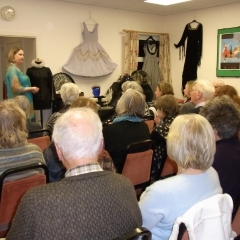 The week ended with Kathryn giving a really interesting talk about her job at Glyndebourne including a detailed account of how she interprets and transforms designers drawings into amazing finished costumes fit for the internationally acclaimed opera house.